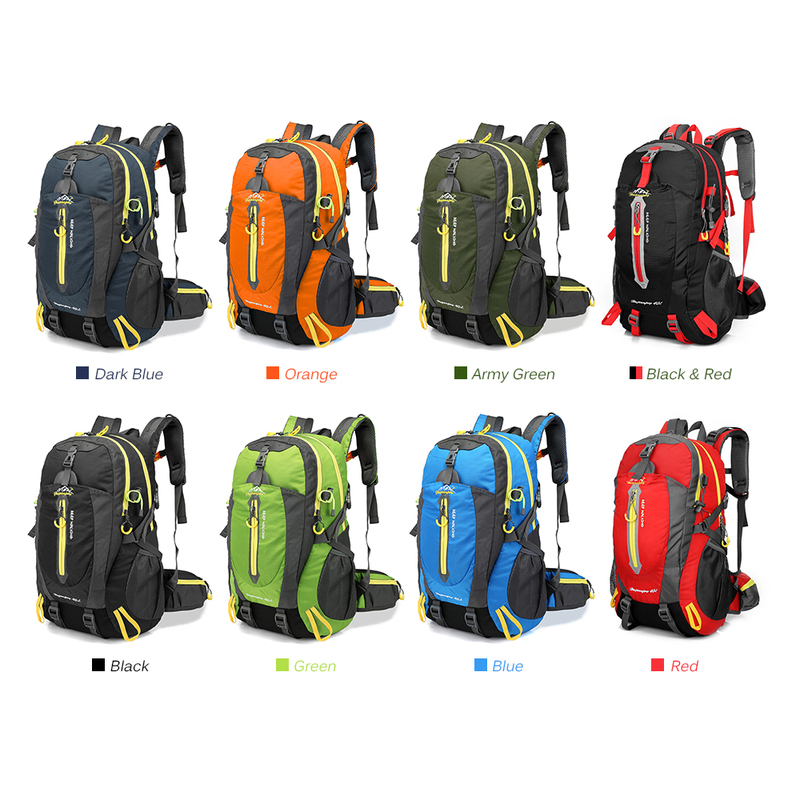 The 40L Backpack was designed to offer the perfect balance between durability, size, lightweight, compact, and travel/storage friendly. Water repellent and tear resistant nylon fabric. High quality zippers, easy zip and unzip. Two sides mesh pocket for water bottle or other accessories. Breathable and padded back panel. Adjustable sternum strap and shoulder strap. 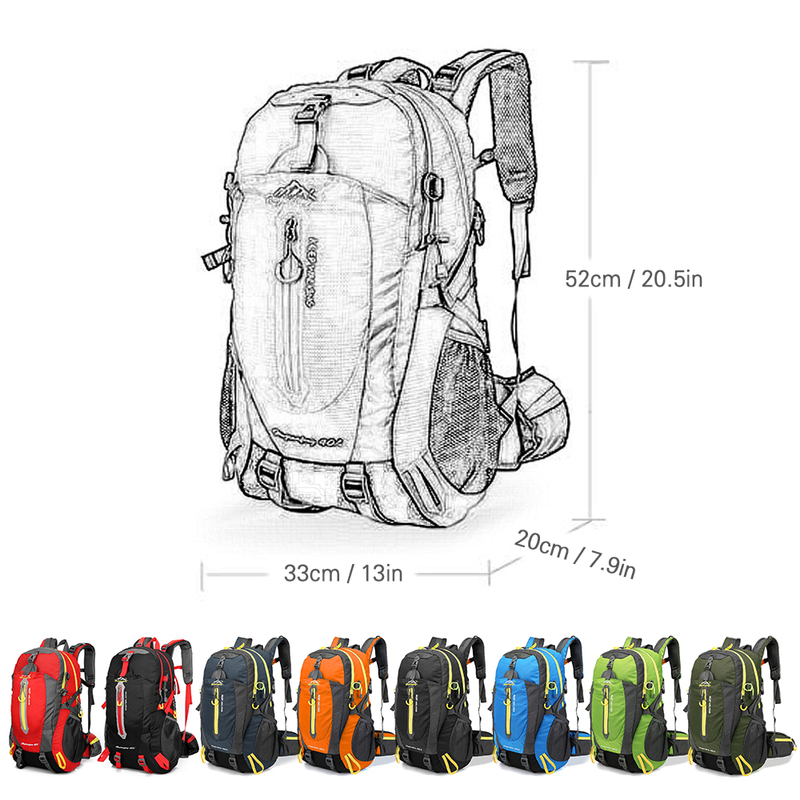 Side and front adjustable straps for hanging trekking pole, tripod or anything you need. Waist pack for cell phone, keys, small accessories. Alpenstock clasp and tent/sleeping bag straps. Adjustable waist and chest strap.